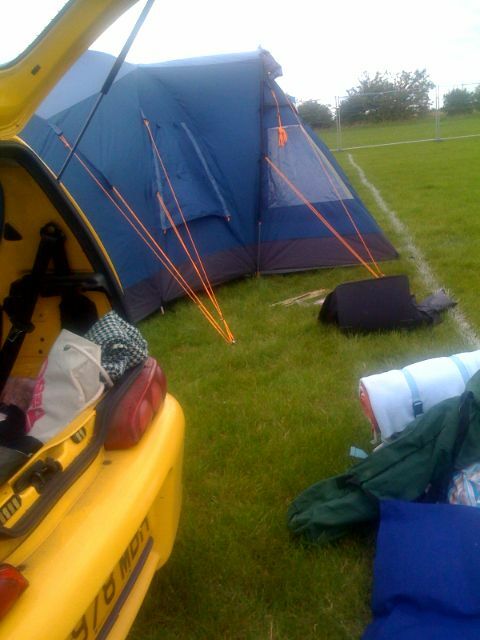 It’s the 22nd of August and it’s the bank holiday weekend I’ve finished putting my tent up and have blown up my air bed (an have flopped on it in the middle of the field lol). We’re pretty much in the same place that we camped in last year which is cool. 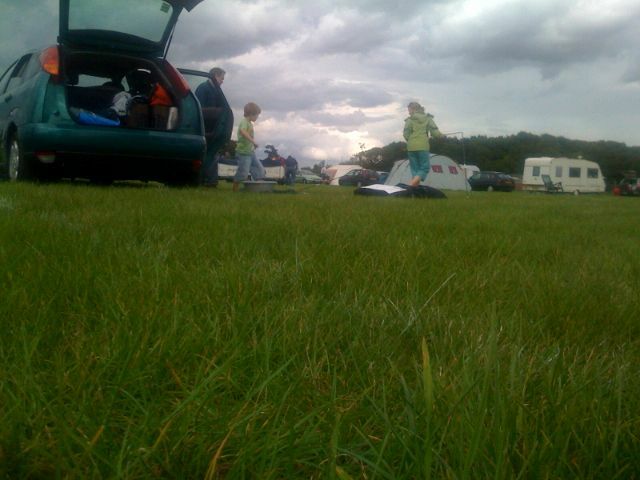 The Mow Mow’s are putting their tent up over my shoulder and The Gibb and Mrs Gibb have put up their trailer tent. I am really excited but also kinda tired I didn’t sleep great I went to bed at 1:15 and got up about 7:30. I was just too excited. I need to move my airbed into my tent now.